It's the start of 2013 and of course, my New Year's resolutions include dieting. I lost about 24 pounds in 2012 (although my target was 40), but I have a long way to go to a healthy body weight. I drew these women to help me and then thought--heck, I'm not the only woman making this resolution. 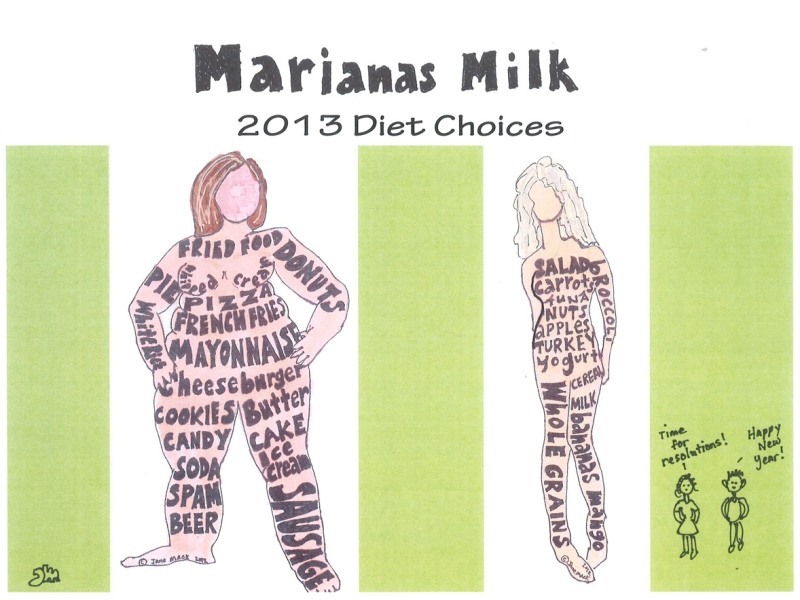 So here it is--Milk diet aid. FWIW.